The controversial offshore oil drilling project in the mouth of the Amazon river could pose significant risk to the mysterious nearby coral reef, according to documents filed by Total and BP. The Environmental Impact Assessment (EIA) for drilling blocks shared by the European oil giants claims there is an up to 30% chance that a prospective spill could reach the reef, a unique and largely undocumented ecosystem home to hundreds of species. This comes several weeks after a federal prosecutor called for the oil drilling licensing process to be suspended, arguing that Total and BP “did not take into account the important ecosystem of the coral reef of the mouth of the Amazon River”. A spokesperson for Total, which is operating the first batch of oil blocks, said the company has “already performed an extensive environmental characterisation in the area” and that its assessment also “addresses the risk of an oil spill and proposes a response”. It lies beneath the thick plume of muddy water where the Amazon pours into the Atlantic Ocean, and can survive without sunlight — relying on chemosynthesis, a process in which organic matter and energy is produced from carbon dioxide, water and other inorganic substances, instead of photosynthesis. Oceanographer Patricia Yager, one of the scientists studying the reef, has said it contains some of the most amazing animals she has ever seen on expedition. The region is also home to species that don’t exist anywhere else on earth, such as the Amazon river dolphin (Inia geoffrensis) and Amazonian manatee (Trichechus inunguis), which are listed as ‘vulnerable’ by the International Union for Conservation of Nature. French firm Total, which is the operator in the oil blocks expected to be drilled this year, commissioned engineers at US outfit AECOM and Brazilian company Prooceano to conduct spill modelling as part of its EIA in 2015. Though the reef was not mentioned in the initial submission, subsequent revisions – most notably in September 2016 – explain that the modelling indicates an up to 30% risk of oil reaching the reef in the event of spill incident. 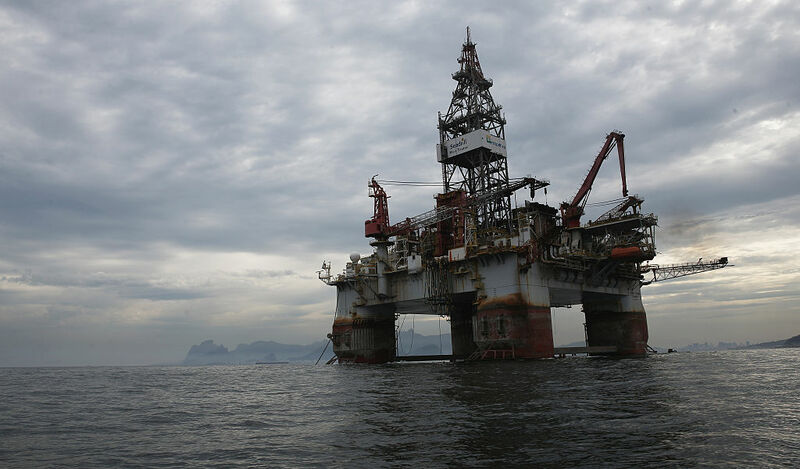 In response to questions from the Brazilian environmental agency IBAMA, Total said that – in its winter scenario – there is an up to 30.33% probability that oil from a spill could come into contact with the north sector of what they describe as a ‘biogenic reef’. Total’s reporting, however, has come under fire, with IBAMA itself criticising parts of its EIA as “inadequate”. Total has updated its EIA several times to address comments from IBAMA, most recently in May of this year, but the underlying spill modelling has remained consistent throughout the process. In the EIA for the oil block run by BP, for which drilling is not planned until 2018, Unearthed has seen no reference to the reef. BP has previously said that the it the document does in fact mention the reef, and recently added several references to the reef in a revision of its RIMA, a non-technical summary of the EIA. The EIA itself remains unchanged.